Blog Post: 6 Reasons Why You Must Exercise This Winter. Blog Post: Strategies To Fit Exercise Into A Busy Schedule. 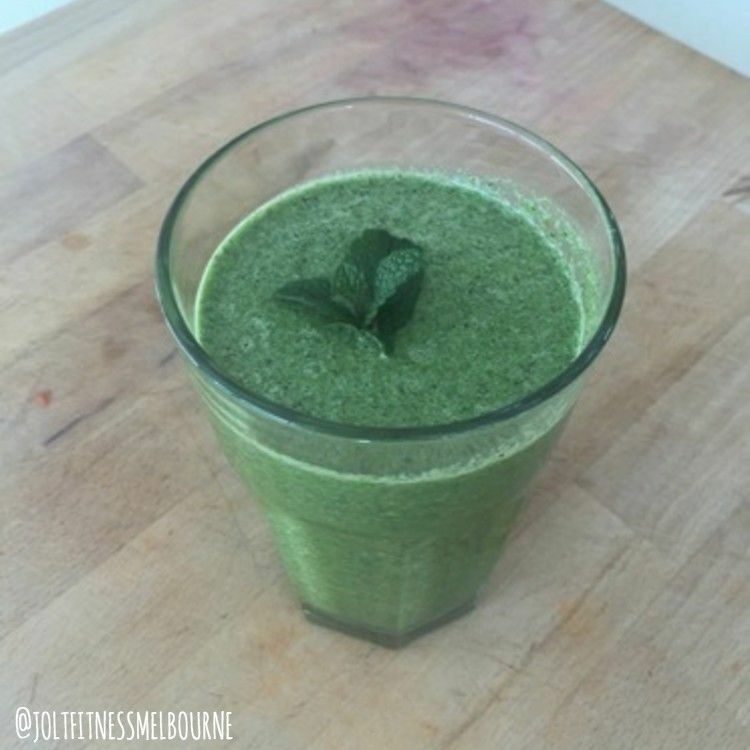 Blog Post: Super Kale Smoothie For Recovery. Blog Post: Christmas Holiday Survival Guide. 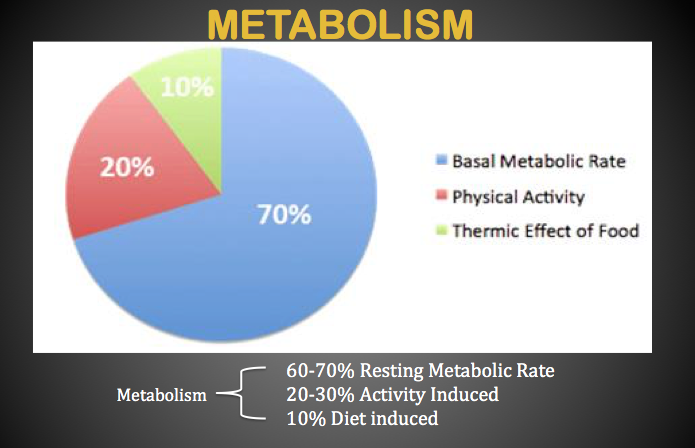 Blog Post: What Is Metabolism? Blog Post: Prevent Impulse Eating This Winter: Helpful Tips. Blog Post: Exercise To Improve and Extend Your Life! Blog Post: Prioritising Your Health As a Busy Dad. 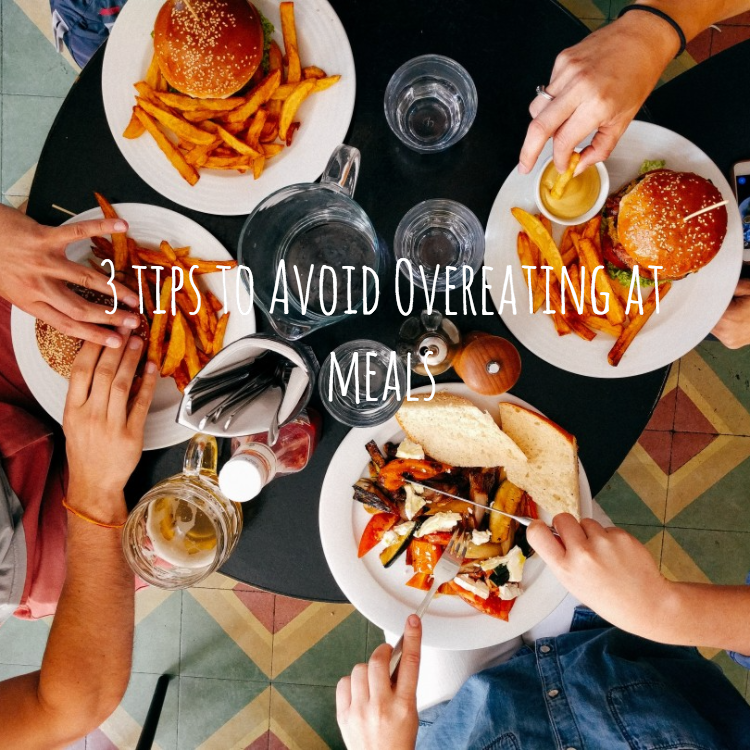 Blog Post: Three Ways To Avoid Overeating At Meals. 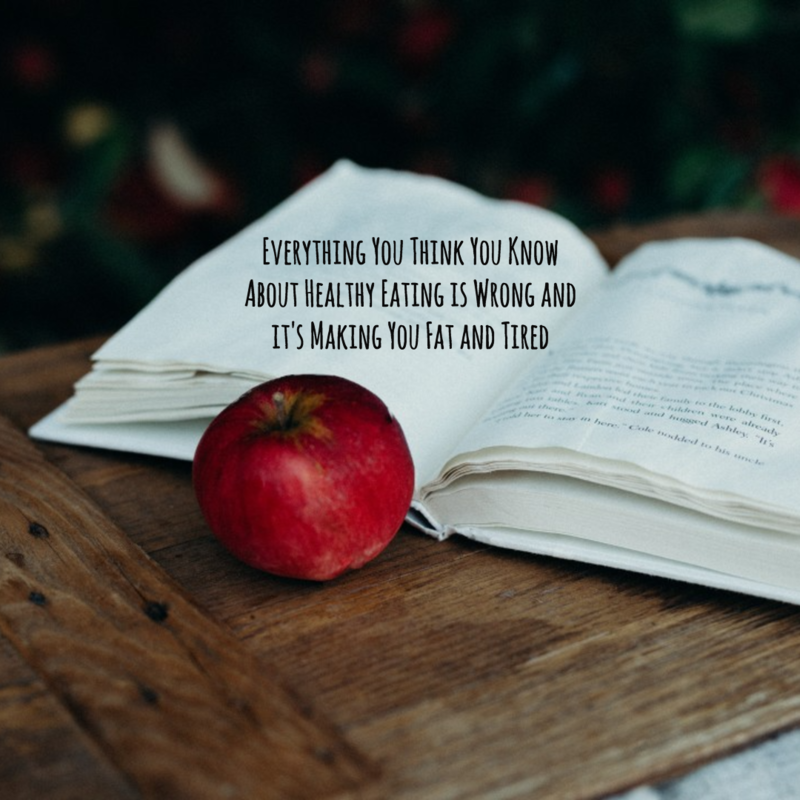 Blog Post: Everything You Think You Know About Healthy Eating is Wrong and it's Making You Fat and Tired Blog Post: Coffee - Who can drink it and who should avoid it? Blog Post: Struggling To Sleep Through The Night? Every winter in Melbourne it always makes me wonder why people just suddenly stop exercising. As I always say, exercise should not be a maybe I will maybe I won’t it should be a non negotiable and as regular as brushing your teeth. The scary statistic is that around 64% of women and 60% of men over 40 don’t get the recommended amount of physical activity and one in 4 don’t get any at all!! This jumps up to over 75% for adults over 75 years old, which is so sad as exercise at any age can be so powerful. Whilst we are in the midst of an obesity epidemic and excess weight can be a result of physical inactivity, I think it is important to always come from a health angle not a weight loss angle. Weight loss should be a bi product of getting healthier. We can maintain a healthy weight range quite easily by focusing on nutrition and healthy eating, I am talking about doing exercise, specifically strength training and high intensity exercise for the health benefits that are so important as we age. Regular exercise and strength training reduces the risk of cardiovascular disease after 40, one of the biggest killers in this country. Strength training and high intensity exercise helps produce a little estrogen for women, which starts to decline after 40 and really declines during menopause. Can reduce the symptoms of depression, especially in winter by stimulating endorphin production. Believe it or not these endorphins are 200 times more potent than morphine and increase substantially during vigorous exercise! Decreases the risk of osteoporosis as bone loss starts to exceed the rate of new bone formation after 40! This actually starts from around 35 and proceeds slowly. Strength training and load bearing exercises are proven to strengthen bones and joints. High Intensity exercise sweeps excess cortisol (that nasty stress hormone) from the bloodstream giving you a soothing high after a stressful day. This can also increase our metabolism and energy levels to get us through so long winters days! Slows the aging process better than any anti aging treatment I know! Inactivity and poor diet can speed up aging and physical activity can do the exact opposite as it controls body composition, strengthens the skin and the nervous system. 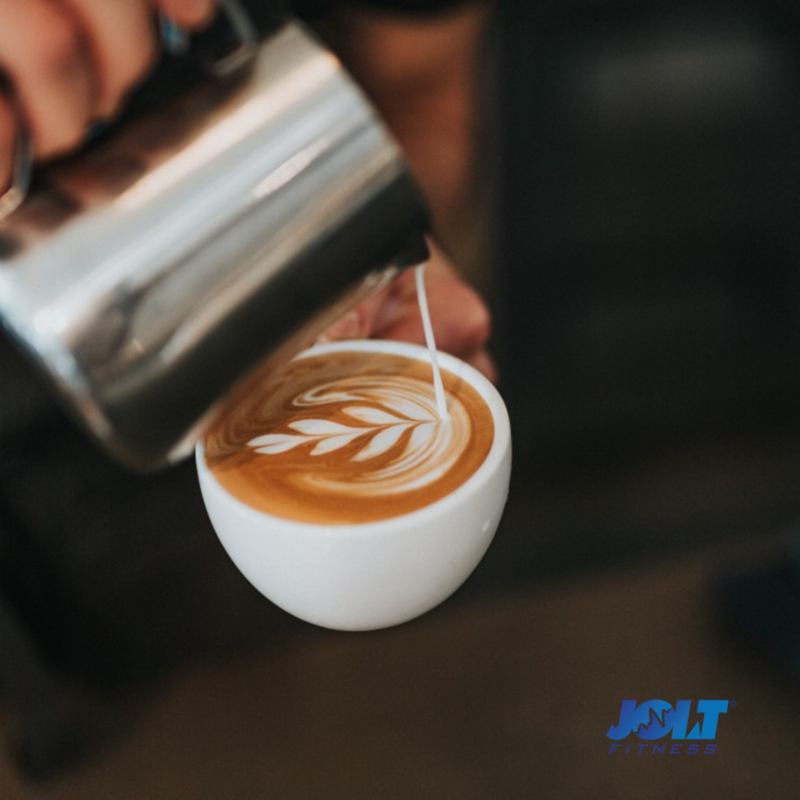 Whilst we have a great program at JOLT Fitness in Essendon which covers all areas of physical activity required and our trainers are experts in strength training, mobility and what’s required as you age, you don’t need to limit yourself to thinking that lifting weights and strength training is expensive or requires machines, or gym memberships. Pushups, jump squats, lunges, and mountain climbing are all examples of exercises that provide strength training and can be done anywhere! If you have any health issues, ask your doctor what type of strength training is best to meet your needs and abilities and current health status. If you really need to you can also work with a local fitness expert and we have a great program at JOLT Fitness. We all want to look better, feel better, and live a longer, healthier happier life. 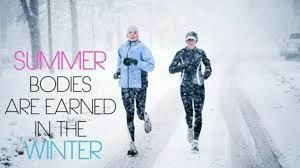 So don’t hibernate this winter, instead go out and get started now with a complete workout program that includes strength and high intensity training. Click HERE for a 7 day FREE Trial of our Group Training. Prioritising Your Health As A Busy Dad. Lack of energy, poor food choices, not being able to find time to exercise and heaps of excuses; these are all things that became a reality when I became a father 7 months ago, and I know aren’t unique to me. When Billie our first child came along life got so hectic, stress went up, exercise went out the door and poor choices were made. I was eating more and stopped exercising and got narrow minded on work and family. My health, energy and state of mind suffered. I’d gotten myself into a pattern where I was only directing energy into running my business and looking after our daughter. And then felt like I had nothing left for me...I’d fallen back into those behaviours I had in my 20’s, even when fitness is my job! A lot of the dads I know are the same. Their physical health and wellbeing goes on the backburner and even trying to keep up with the kids is a struggle! Our stress levels increase – we’re so busy. Career, family life, taxi service for the kids activities, the demands on us in 30’s and 40’s have never been greater. So we’re time poor and tired, and as a result we eat more, we drink more and exercise is pretty much non-existent. This snowballs and creates bad health for years. Now that I’ve realised my regression into those behaviours and that mindset, I’ve had to reset…and take action. Why did I start thinking exercise and healthy eating are an inconvenience? They’re not. They’re de-stressors, they improve my mental health, make me feel healthier and give me more energy to get through my day. So, there’s nothing wrong with making them a priority again like I did before my daughter came along. Turning 40 this year has caused some self-reflection – and I realised I didn’t have to choose between health, family and work I just needed to get balance they’re all a priority. I can’t just talk about being the best role model of health and wellness to my daughter that I could be. I need to show this through action. Being a father later in life I want to be fit and healthy to be able to have decades with her, not use my age and her coming along as an excuse to stop living a healthy lifestyle. My advice all dads out there this Father’s Day is to understand that your body has changed and there’s no such thing as a quick fix. When we are young we can just sleep off most of our exhaustion, or get back into exercise and see results quickly, but as the decades go by we can’t anymore. It’s that four-day hangover that used to be one. Our bodies don’t work in the same way anymore, and don’t bounce back as quickly or give us those quick results. But we need to realise that what we do in our 40’s and 50’s sets us up for our 60’s and a healthy happy retirement with children and grandchildren. It’s not something that’s going to happen fast. Now we’re older, we we’re more susceptible to injuries. It’s going to take work, there’s no doubt about that. But you don’t have to go hard at the gym everyday, you just have to control what you eat, and know how your body works and what it needs from a training perspective. Add in some quality mobility and flexibility work and you’re on your way. For me, the first week of getting back into my rhythm was crap, but once that was over, I started to see progress. The big difference in my attitude now, I’m driven by my family and how me being as healthy and happy as I can benefits them in so many ways. Dads I want to help you get started back on the right path with your health this Father’s Day, by giving give you the chance to win 30 days of unlimited training to help you gradually get your health back at a pace your comfortable with. 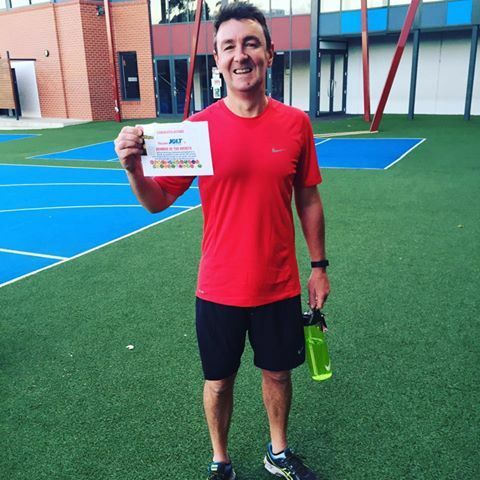 Click the HERE to go into the draw and remember dads, your health is well and truly worth it! 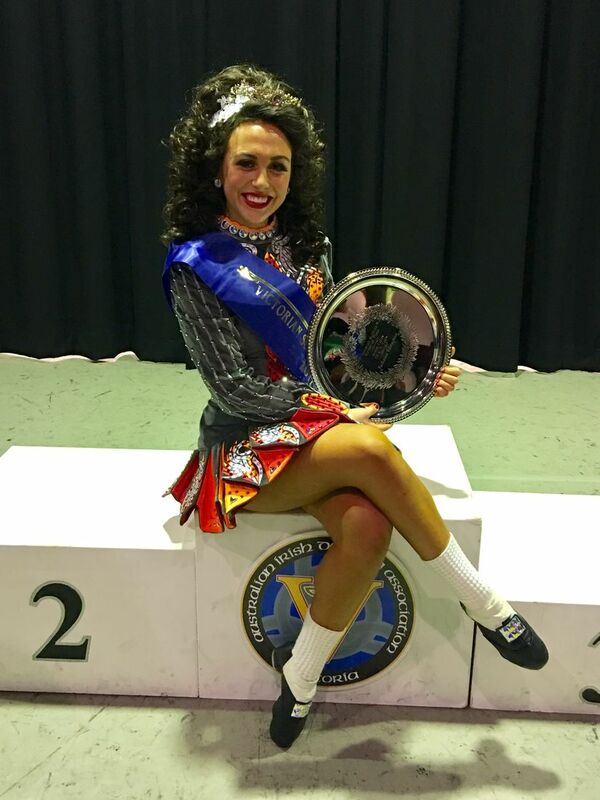 This month we want to put the spotlight on the awesome Sarah Wallace who trained with coach Brad in 2016 for 5 weeks to prepare for the National Irish Dance championships in which she took out second place! She returned in June this year to once again dominate her training. "Since beginning my training with Brad in 2016, I have noticed a big difference in my overall performance with my Irish dancing. I feel a lot stronger when I'm dancing and now understand the importance of whole body training. Following my training with Brad, I have achieved great results in my dancing. In September 2016, I received second place at the National Championships in a section with over 100 girls in it. After returning from a two month holiday in May this year, I resumed my training with Brad. It took a little while for my body to get back into shape, but with the help of Brad I was fortunate enough to win the State Championships for my age division in August (see picture). Two weeks later I also won the O'Connor competition in Melbourne. During the September school holidays I will be competing at the National Championships in Adelaide. I know my body is now at optimal performance level and I can't thank Brad enough for helping me get there"! After initially working on getting her conditioning back and burning body fat through HIIT training when Sarah came back to train in June, we then shifted the focus over to some strength and conditioning that would transfer across to her dancing and help Sarah perform better in competition. Sarah's results over the last couple of months have been absolutely outstanding and Brad couldn't be prouder, not only has her body composition changed but her strength has gone through the roof. Went from 12kg to 20kg on kettlebell swings. Kettlebell deadlift from 20kg - 28kg. Hit 24kg on our kettlebell squat strength test. Lost 6cm off her waist and 4cm off her hips. Sarah pretty much increased her strength in all areas by a lot and we are super proud, her dedication and commitment to training has translated into some awesome results, WELL DONE SARAH! Spring is a time of new beginnings. As we wake up from the last of our wintery sleeps, our minds feel energised, refreshed, better weather is just about here and everybody's ready to celebrate. Does your body feel the same way? If you haven’t been working consistently on your fitness and health this winter, your body may be struggling to keep up with your mind. It’s hard to make a new start when you feel sluggish and discouraged. That’s why we exist: to help you move from reality to your dream. If you have tried and failed at fitness, then you likely feel too paralyzed to try again. Motivating people to get healthy, however, is what we do best. But you have to want to be helped! Let’s get started. Click here to read on. Impatience. Because we live in a society that is used to instant gratification, it can come as quite a shock to find that fitness doesn’t happen fast (no matter what people promise you). I don’t care how many facebook posts you see that promise you a 6 pack in 6 weeks, it is not going to happen. There is no short cut to health and fitness. If you grew frustrated in the past because results didn’t happen as fast as you would like, prepare yourself now for a different attitude: we will celebrate small results, no matter what they are and be patient as the transformation happens. Lack of planning. The biggest sabotage in any fitness plan is lack of planning. If you have tried fitness and failed, it is almost certain that you came up short in the area of planning. Without forethought and intentionality, you cannot eat healthy, get enough sleep each night and stick with an exercise routine. This time, you will plan before you start. Support. If you have attempted to get fit with little support, you are not alone. Many people try to change their lifestyle on their own. The trouble with this approach is that those around you will probably not value what you are doing. They will unintentionally or intentionally sabotage your efforts. For example, they may resent the time you take to workout, or they may ridicule you for the radical changes you make to your eating. However, you will have support this time, and the difference will shock you. Today you start fresh and leave the past behind. Yes, you may have quit during your previous attempts to be healthy. That doesn’t matter now. What matters is what you do today, tomorrow and next week. The following tips will help you make a strong start and make this time different. This is where patience and courage comes in. What is your dream or your goal? Do you want to run 5km? Do you want to exercise and eat in a way that energizes you? Maybe you want to exercise for 6 days a week. Do not let the distance you have to cover cause you to give up before you even begin. Recognise that this will take some time. Every single fit person you know started somewhere short of where they are now. How did they get to their present condition? By taking ACTION and taking it one day at a time, celebrating every victory and getting up when they fall down. You can do the same. Have you ever heard of the tyranny of the urgent? It means that if you don’t have a plan, the matter that seems to be the most urgent at the time will get attention, at the exclusion of the others. Without a plan, your own health will always take a backseat to what seems the most important at the moment—and that could be as simple as a television show that you want to watch! Having a plan will keep less important things from creeping in and sabotaging your health. Count on it: if you do not plan for fitness and health, it simply will not happen. This time, make a plan. How you will arrange your schedule so that you get at least 7 hours of sleep each night (do you need to get the kids in bed sooner or prepare your lunches on the weekends to save time in the morning? Without a strategy, you set yourself up for failure. Plan on succeeding! Take some time right now to jot down some ideas to overcome the obstacles that you know will arise. Be prepared for them, and you will breeze through them. It is no secret that the biggest predictor of whether a person succeeds in their fitness efforts is whether or not they have accountability. I’ve said it before, but it bears repeating: getting fit is not easy. If it were, we would not have our current epidemic of obesity and disease. If it were easy, more people would be doing it! In order to make sure you succeed this time, get some support. That support could come from a few friends who are making a new beginning with you, a personal trainer or group training instructor. The people in your support system will be genuinely interested in how you are doing. They will encourage you when you lose your motivation. They will cheer when you get up early to exercise. They will talk you out of eating those muffins. They will expect you to tell them how you are doing and they will not let you fade out of the program: they will come after you if you start slacking. Are you ready for your New Beginning? It is within reach, just take the first step. It's not just the abundance of delicious food but also the people, the decorations, and the ambiance. It is way too easy (and common) to indulge on those days at this time of year but it doesn't always stop there. You may be yearning for that rich, creamy main dish but don't start there. Nutrition and diet info is everywhere! The “calories in, calories out” philosophy (i.e. how much you eat) is being drowned out with research on other factors that may be just as important. Don't get me wrong limiting carbs can certainly help you lose weight but that's simply not the only factor for long-term weight loss and maximum energy for everyone. A colourful array of f veggies and some fruit at almost every meal and snack. You need the fiber, antioxidants, vitamins, and minerals. Enough quality protein. Making sure you get all of those essential amino acids (bonus: eating protein can increase your metabolism). Are you rushed, not properly chewing your food, and possibly suffering from gastrointestinal issues? Do you drink your food? Coffee - Who can drink it and who should avoid it? Coffee is one of those things - you either love it or hate it. You know if you like the taste or not. You know how it makes you feel (i.e. your gut, your mind, etc.). There is actual science behind why different people react differently to it. It's a matter of your genetics and how much coffee you're used to drinking. Let's look at caffeine metabolism, its effects on the mind and body, and whether coffee drinkers have higher or lower risks of disease. Then I’ll give you some things to consider when deciding if coffee is for you or not. Not all people metabolise caffeine at the same speed. How fast you metabolise caffeine will impact how you’re affected by the caffeine. In fact, caffeine metabolism can be up to 40x faster in some people than others. About half of us are “slow” metabolisers of caffeine. We can get jitters, heart palpitations, and feel "wired" for up to 9 hours after having a coffee. The other half is "fast" metabolisers of caffeine. They get energy and increased alertness and are back to normal a few hours later. This is part of the reason those headlines contradict each other so much - because we’re all different! Give you a reason to drink a lot of sugar and milk? Struggling To Sleep Through the Night? Are you to sleep through the night? 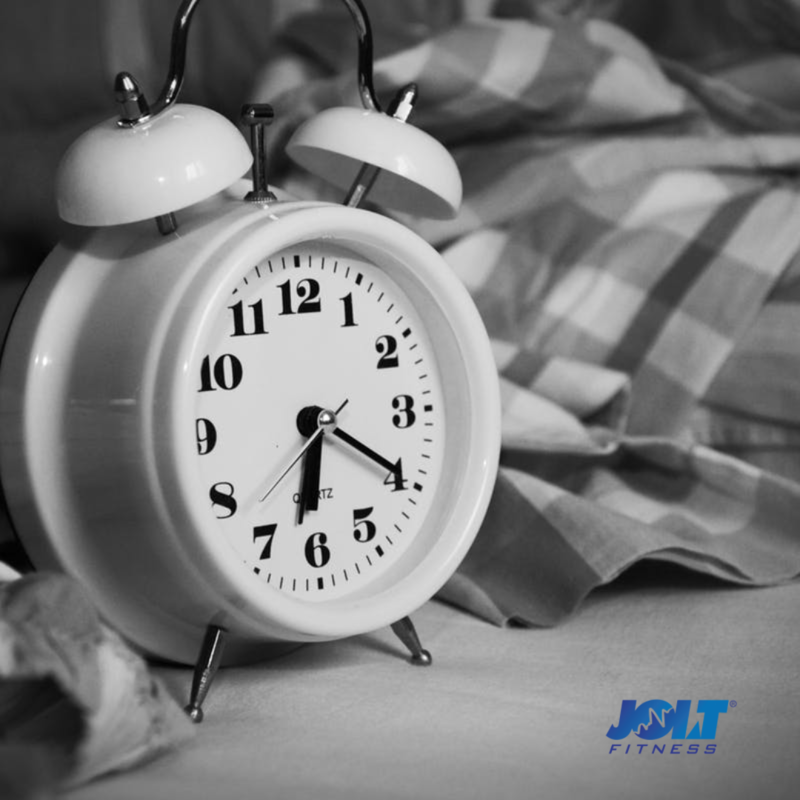 Do you know that lack of sleep may even negate the health benefits of your exercise program? What aspect of health does sleep not affect??? Do you know how much sleep adults need? It's less than your growing kids need but you may be surprised that it's recommended that all adults get 7 - 9 hours a night. Cut off your caffeine and added sugar intake after 12pm. Whole foods like fruits and veggies are fine, it's the “added” sugar we're minimizing. Yes, this includes your beloved chai latte. Both caffeine and added sugar can keep your mind a bit more active than you want it to be come evening. We live in a very busy fast paced world and maintaining our health and wellness can be somewhat of a challenge. 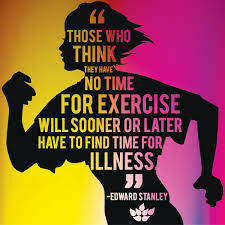 Staying healthy should be a one of our top priorities if we want to maintain an active and healthy lifestyle as we age but when you throw in kids, school, crazy work hours and demands as well as home life its sometimes hard to figure out how the hell exercise and being healthy is going to fit in. A lot of the time its just easier to let it take a back seat or put it in the to hard or will start when I have time basket! This is the last thing you should do as there is plenty of research out there that shows exercise and being healthy increases energy, improves mood, wards off fatigue, helps with depression, lowers blood pressure and stress levels and helps you get through your day. Become a morning person. The benefits of exercising in the morning are endless, you get your metabolism cranking and you give yourself energy for the day ahead. Also exercising in the morning means nothing can come up during the day that will derail your exercise plans as it’s already done!! Not a morning person? Give it a try for 3 weeks and you will adjust as your body becomes used to the am and before long you will forget that you didn’t used to like getting up early to exercise! Workout more efficiently. You don’t need to go to the gym for 2 hours at a time and sit on the treadmill forever!! High Intensity exercise is the time poor persons savior, it can be done anywhere with any exercises and gets great results in minimal time. Elevating your heart rate above where your comfortable is the key and as little as 10min can have a great effect. Make a date…. exercise and being healthy is as important (if not more important) as work meetings and any other dates you have SO BLOCK IT IN YOUR DIARY OR CALENDAR and stick to it just like you would any other meeting or appointment you put in there. Spend a few minutes on Sunday planning and blocking out your times you will exercise or go to the gym and hold yourself accountable to them. Workout on the way to work. Instead of driving all the way to the car park or getting your train or tram as close to work as possible park or get off 10-15min before and walk the rest of the way. You have just added 30 min of exercise to your day without even needing to get to the gym. As a bonus when you get to work if you have stairs take them a few times for an added leg workout. Exercise during your lunch break. There are so many options for exercising during lunch and a lot of work places are pro this as it improves productivity. Hit the gym, do a quick session in the park or go for a walk especially now the weather is starting to improve. Get other people in your workplace involved and hold each other accountable as well! Hit your boss up about a work place health program if you don’t have one! Include the kids. Get the kids out side with you and have some fun, run around, play, laugh and just get moving. Strap the kids in a carrier as you go for a walk to add resistance and stop every now and then to do squats. You will adapt and get stronger and as the baby grows so will your resistance!! You don’t need hours and hours to exercise and fit being healthy into a busy schedule. There are so many people out there that juggle massive workloads and schedules and still find the time to stay healthy and exercise! What do they all have in common? They make their health a priority and commit to fitting it in and being healthy no matter what and they reap the rewards. Commit to leading a healthier lifestyle and don’t settle for anything less than that! Hey Guys wanted to share this awesome post workout recovery shake that is a staple in my post workout shake routine. I always have extra Kale left over so I started throwing it in my smoothies and it tastes amazing not to mention the awesome nutritional benefits this little super food has!! Check out this super simple, quick and tasty recipe below and mix it up and try different flavours and ingredients!! This shake is perfect after a hard Outdoor Group Training session at Essendon or at your gym!! Just consume within 30-60 minutes of training and your good to go! You can also add some good fats like coconut milk, Avocado or Coconut Oil and have it as a meal replacement! Add all ingredients in blender and blitz….ENJOY!! The Festive Season is full of temptations, parties, drinking and festivities, so we have come up with a plan to ensure your clothes don’t miraculously shrink over Christmas. So sit back and enjoy! Twas the night before Christmas and all through the house, not a creature was stirring, not even the comatose ale-charged kebab-stuffed daft party hat and fake breast-wearing bloater spread eagle in the hallway. The yuletide festivities are fast approaching, which means only one thing. Actually, that’s ridiculous, of course. Christmas means many things, but if you believe in Santa like me, it means that if you hang your stocking by the hearth, next to the chimney and when you get up on Christmas morning it will be filled with all sorts of random “gifts” like chocolate, cd’s, underwear and socks. It’s this bizarre yet predictable ritual on Christmas morning that I love. I never get what I asked for, instead I get a load of underwear, hankies and chocolate and while underwear is a little boring and predictable in the present stakes there’s always a place in my stomach for chocolate, even though it does make seem to make my clothes shrink! There’s good reason for this. It’s called Positive Energy Balance (PEB). If you’re at PEB, it means that the calories you’re putting into your body exceed the calories you’re burning up. Strangely this does in fact shrink your clothes and sometimes if you’re at PEB for long enough over the Christmas period, the stairs in your house actually get steeper and longer and the air on the balcony gets thinner. It’s the most bizarre phenomenon. The television grows too and becomes an extremely dominant force in your Christmassy life as you start to lose interest in most other things (sporty stuff in particular) and get rather frightened about going outside, especially to the places where there’s physical activity involved. Well I’m here to put a stop to this madness. It doesn’t have to be like this, we can turn PEB into EB, which means Energy Balance so the calories you’re putting in equal the calories you’re burning up.That way you stay roughly the same weight. I think achieving NEB (Negative Energy Balance) might be expecting too much? Weight loss isn’t a sensible goal over Christmas. It simply isn’t realistic. What you should be seriously considering is damage limitation. How can you have a fabulous Christmas with no regrets, yet still emerge from it in one piece, perhaps a little scraped and bruised, but not broken and wheezing like an old set of bagpipes. 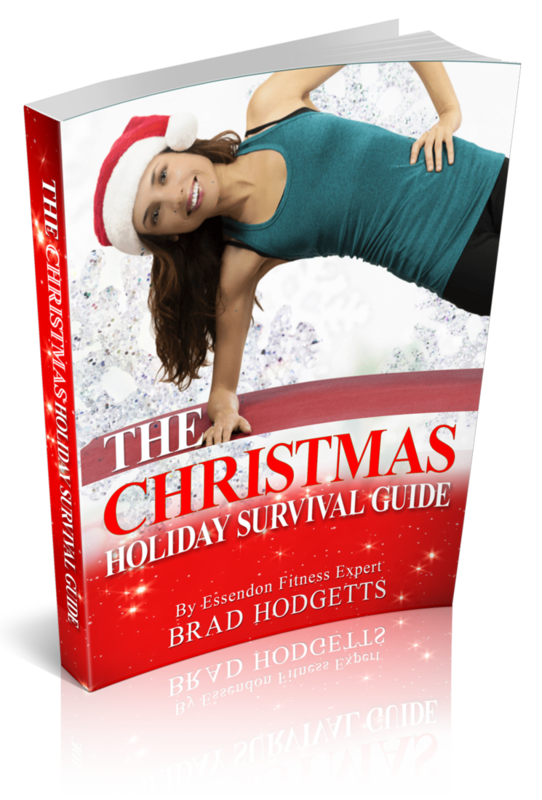 The answer is in JOLT Fitness’s five-stage Christmas Survival Guide. All of the staff here at JOLT Fitness hope you enjpy the guide and wish you a very safe and happy Christmas and New Year!! “I turned my stress, motivation, energy and training around and at 46 am the fittest and leanest I’ve ever been.” Busy dad of 4 Ben talks about how us about how he has thirved under a new approach to health and fitness. Most of us have been there at one point or another; some of us may arrive there around June/July every year...being unmotivated, bored with our gym program and a little lost. One of the biggest problems I see with people who live in Melbourne this time of year is that they are over worked, severely stressed, getting minimal fresh air and sunshine and are exercising the wrong way or worse not exercising at all. It’s common to hear people who come to us saying they’re constantly lethargic, lack energy and are tired, sick, and generally feel lost with how to approach and exercise program. Without the right plan, often people try and combat this by avoiding the outdoors, doing the wrong exercise in the gym or not working out at all, and to top it off, eating all the wrong foods. When the one thing they need to increase energy, ward off sickness and change their body shape is A WELL BALANCED EXERCISE PROGRAM. Exercising the wrong way, without direction or a balanced program most often results in no progress, but is also disheartning, and can cause people to stop exercising altogether. One of our newer clients Ben was experiencing this exact situation prior to joining JOLT Fitness. "I was going to the gym regularly, but I didn’t really know what I was doing, and was just going to whatever machine was free and giving it a go. The sessions had no structure and there was a lack of awareness and assistance to get the most out of it. Whilst I was reasonably active, I wasn’t really showing many results in weight loss, body composition or fitness improvement." Ben knew he wanted a change and was sick of the hamster wheel of the gym and his lack of results. 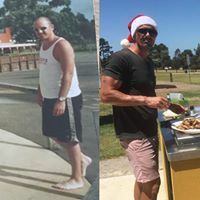 He was inspired to take the fist step to make some changes and try something different by his lovely wife Nat, who had been part of JOLT Fitness’s group training family for some time and had some amazing results. 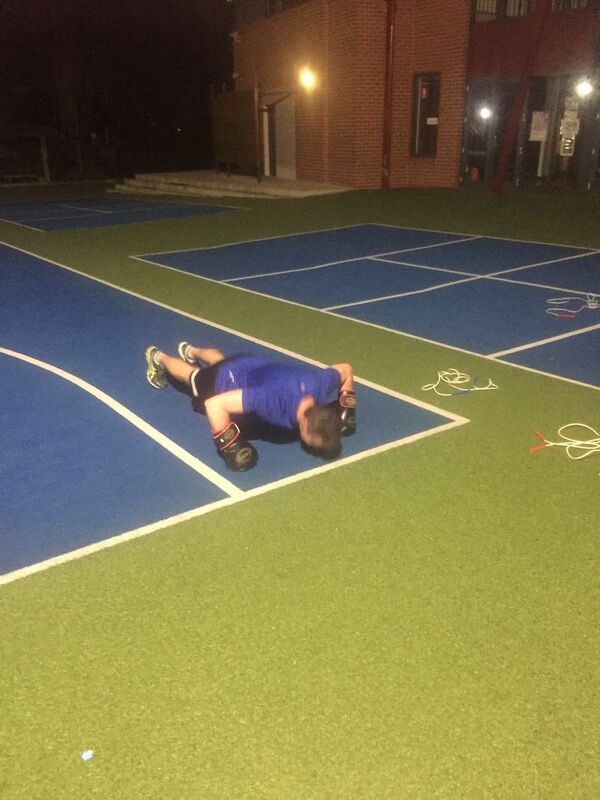 Ben actually found that the group training was the best part and a really motivating factor with some other pretty cool side effects. 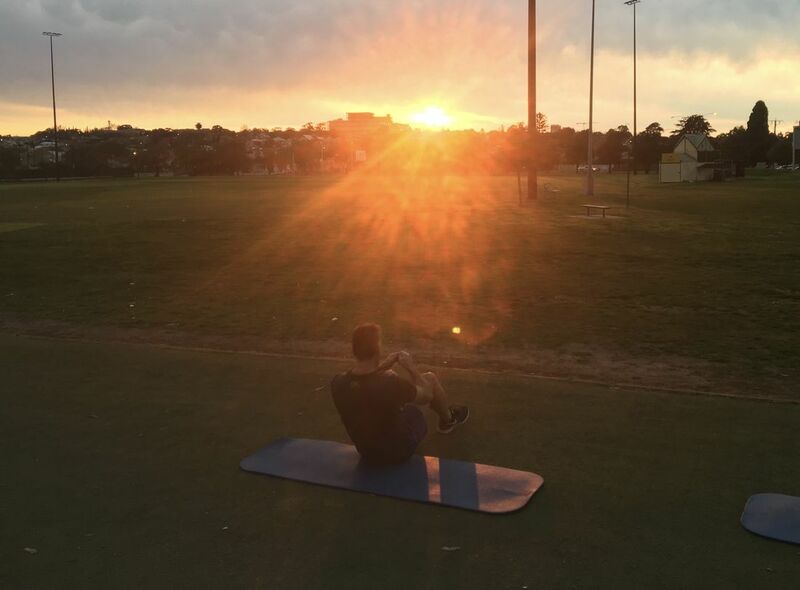 Ben’s experience doesn’t surprise us - training outdoors, being around likeminded people and having a well balanced training program that trains people the right way are three of the most important things when comes to improving your health and fitness. Our advice to other busy parents like Ben is to pay attention to what your body is telling you. If you're not seeing the results you would like in the gym, have a look at what you’re doing, how you’re exercising (if at all), and what you’re putting into your body. And then, it’s about taking steps to change things, just like Ben did to turn that all around. If you want to know more about how to exercise the right way, download our free report "The Right Way To Exercise" HERE. Well technically “metabolism” is the word to describe all of the biochemical reactions in your body. It's how you take in nutrients and oxygen and use them to fuel everything you do. There are a couple of different ways to measure metabolic rate. One is the “resting metabolic rate” (RMR) which is how much energy your body uses when you're not being physically active. The first thing you may think of is your thyroid. This gland at the front of your throat releases hormones to tell your body to “speed up” your metabolism. Of course, the more thyroid hormone there is the faster things will work and the more calories you'll burn. Aerobic exercise also temporarily increases your metabolic rate. Your muscles are burning fuel to move so they're doing “work”. Your body actually burns calories to absorb, digest, and metabolise your food. This is called the “thermic effect of food” (TEF). Easter is around the corner but the cheerful colors are not limited to flowers and eggs. There is no escaping the onslaught of sugar that threatens us at every turn. From jelly beans to chocolate bunnies, empty calories abound. Sugar is really bad for you. When you consume Easter confectionary, you are getting a large dose of sugar. Whether it is in the form of High Fructose Corn Syrup or cane sugar, it slams into your system like a bowling ball, and the effects are disastrous. Within the first 20 minutes or so, your blood sugar level spikes as the sugar enters your bloodstream. It arrives there in the form of glucose, which is your body’s main source of energy. This sudden rise in blood glucose stimulates your pancreas to start pumping out large amounts of insulin, which is the hormone that helps your cells take in the available glucose. Some of this glucose is used immediately for energy. But the rest stored as fat by insulin, to be used later. The result is that you feel fatigue, because you have no way of accessing the energy that is in your blood stream. You will likely feel weak, tired and have trouble concentrating, because your brain uses glucose to function. If your blood sugar levels stay elevated, damage begins happening to various parts of your body. For example, the capillaries become damaged (which leads to blindness), your kidneys become diseased (which can eventually require dialysis) and nerve damage occurs throughout your body (which can lead to amputations). The heart muscle also suffers, which leads to heart disease, and your organs begin aging at a faster rate. You also become more susceptible to infections. The ravages of sugar cannot be overstated: that handful of jelly beans is not worth it. Easter only comes once each year. Do you really have to be so uptight about it? At some point, you have to stop the insanity, make a decision and choose health, so that the indulgence truly becomes the exception; not the rule. So let’s look at some alternatives for your Easter celebration. You do not have to sit there munching on steamed asparagus while those around you are tossing back marshmallow ducklings by the dozen. Consider the following ideas for Easter basket treats and munchies. Sticking to this list will ensure that you are clear headed and full of energy while your friends are slipping in and out of consciousness after their sugar highs! It’s time to give back to yourself and we are here to help. We know that it can be hard to find time to focus on yourself and when you finally do, you probably have a sense of guilt that there are other 'more important' things you should be doing. That’s part of being a mother, you put everyone and everything first and yourself last. But consider this. Neglecting yourself is not good for you or those people who depend on you. The only way you can keep attending to your many responsibilities and joys with the energy required is if your health is at its best. It may be hard because you’ve started before and failed. That doesn’t matter anymore. You are not doing it alone this time. We are here to walk with you every step of the way. We’re looking forward, not backward. It may be hard because changing life-long patterns of eating seems completely undesirable right now. We’ve been there and believe me; if some of us can do it, you can too. The amazing thing is that once you get a taste for the energy and vitality that eating well brings, you won’t look back. The longer you wait to take your health seriously, the more damage you are doing to your body. There is only one way to slow down, stop or reverse many of the effects of aging (whether you are 20 or 70 years old): sensible eating and consistent exercise. (Well, that’s two, but they have to happen together). Does lowering your blood pressure, strengthening your knees and reducing aches and pains sound attractive to you? You’ve dreamed about it long enough, now is the time! 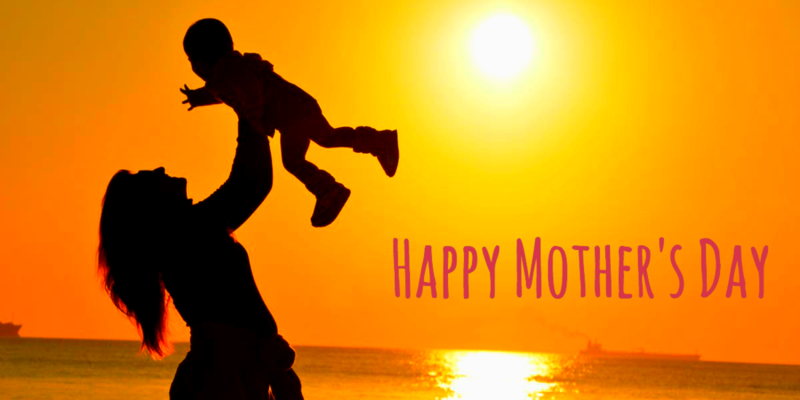 Make this Mother’s Day the beginning of a new chapter in your life and give back to yourself. Thousands of mums just like you are doing it and we want to help you be strong, vibrant, fit and full of energy. It’s time to start. We’ll get you revitalised and feeling better than you ever have, you just need to make that first step. Let us help you get started on your health this Mother's Day with a 20% off all our memberships for your first month. Includes 1 Week Trial prior to commencing membership for new members. Offer ends 14th May 2018. Contact us for more information and to get started. It’s happened to all of us. You know the feeling - you are away from home running errands, or you are out late because you had to stay at work longer. And you realize that you are hungry. Not just a little hungry though, more like hangry. You haven’t eaten for hours, your head is starting to throb, and you can’t even think straight. As you survey your options, you realise that getting something to eat that is even remotely healthy is going to be nearly impossible. But you have little choice, so you grab a burger or a salad with “grilled chicken.” (Do you have any idea how much that piece of ‘grilled chicken’ has been processed and soaked and manipulated and transformed before it arrives in front of you?) Or a small order of chips just to get you through. Just like that you have put food into your body that will lower your immune response, raise your blood sugar, reduce your energy and contribute to weight gain. Good quality protein bars or snacks. 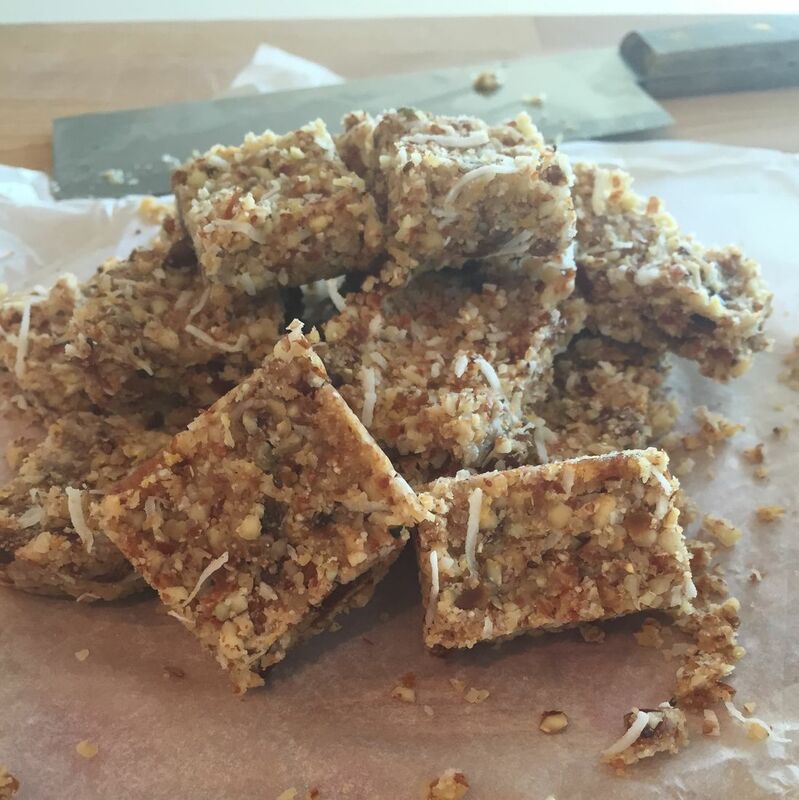 Low in sugar and preservatives is the key, make your own and have a few on hand for emergencies. See our website for some ideas! Raw Veggies. They are crisp, juicy, cold and sweet and full of the micronutrients your body craves, can pair with some nut butter below for a complete snack. If you eat dairy, having a small slice of your favorite cheese will give you a complete protein, a little fat and be very comforting. Make sure its full fat and not processed. Remember: the goal is to tame the beast inside you that is calling out for something from the nearest drive through window. This is a mental exercise as well as physical! Nut butters. Cashew, almond, peanut...find your favorite. Almond butter is great on a banana; cashew butter is perfect on whole grain crackers (if you eat grains). Sardines. Yes, you read that right. If you like fish, you can buy small packets of wild caught sardines that travel very well as do cans of tuna. The second step seems obvious, but it has to happen if you are going to eliminate impulse eating: buy the food on your list. You have to get it in your house (or car and at work), so you have it when you need it. Small storage containers or plastic bags. You need individual containers to put your food in. Don’t take the whole package of cheese or the whole bag of chocolate chips, because you will end up eating too much. Put one or two pieces of cheese in a container, and put only 7-8 chocolate chips in a bag. Toss some nuts in one container, some cut up fruit in another. Also, you don’t have to prepare everything in advance. In a pinch, you can eat a big capsicum just like an apple! Just have a plan so you can get it fast when needed. Some things don’t have to be separately packaged, such as your nut butter. Just toss the whole jar in the cooler…if you can control yourself. The happy result is that when you are out and realize you are hungry, you will not have to eat food from a café or dodgy takeaway joint. You will have an assortment of health and energy promoting foods at your fingertips. Exercise To Improve and Extend Your Life! In the fast paced, weight loss driven, quick fix world of health and fitness let’s look the other way for a moment and think about the often overlooked and ignored real reason why all of us should be exercising and getting healthier. What is that reason? Longevity and quality of life. Exercise boosts life expectancy. Regular, moderate physical activity such as running or weight training can increase life expectancy by several years. Sounds boring I know but I believe that when we start approaching exercise from the angle of long term health then we start to eliminate yo yo weight gain and loss, the constant chase of the next silver bullet and quick fixes. We eliminate the finish line, because there isn’t one. Your approach to exercise is one of constant learning and improvement of health for every decade of your life. Now it may not be smooth sailing and there will be some bumps in the road but what’s the pay off for this approach long term? When exercise becomes a normal part of your routine you’re ahead of the game, you’re ready for anything that life throws at you whether it is sickness, injury, stressful situations or times of duress. You’re able to enjoy life in the decades ahead and not be restricted by poor health, brittle bones or poor mobility. The power of exercise is so profound yet so underutilised when it comes to enjoying the later years of our lives. Eliminating joint pain, strengthening bones and increasing bone density with strength training. Creating energy with endurance workouts to get you through those long days. Using interval training and things like boxing to relieve stress. Releasing feel good endorphins with aerobic training. Most of all you’re having fun! Joint pain, depression, stress, lack of energy and poor health are always a constant in most peoples lives at every decade, so doesn’t it make sense to train and prepare to combat them ongoing? Focus on maintaining strong bones and lean muscle, a strong immune system, healthy heart and lungs, a good mental state, great mobility and flexibility through exercise long term and you will be ready to tackle life no matter what your age. We're celebrating all things bone health and exercise for longevity of life this month around JOLT Fitness, if you want help with getting started with an ongoing sustainable exercise program CLICK HERE and register for a success session and free trial of our group training.